Croatia, Between Europe and the Balkans addresses the key developments in economics, politics, international relations and social policy in the state over the last decade. It places these developments in their historical context, and shows how current policy dilemmas are structured within the conflicting pressures which historically have pulled Croatia between a European, a Mediterranean and a Balkan orientation. In the new context of European integration however, Croatia may now find a new role in her pivotal position as a bridge between the unruly Balkans and an impatient Europe. This book will be of particular use for courses on Eastern Europe. Its thorough, up-to-date analysis will also be of interest to students and researchers in politics and international relations, but with a broader appeal to diplomats, policy makers, trade officials, the business community and consultants expanding their trading links with the region. 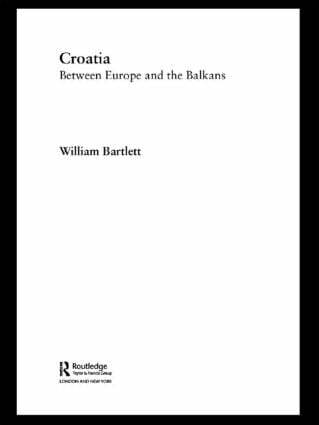 William Bartlett is Reader in Social Economics, for the School for Policy Studies, University of Bristol, and Deputy Director of the Centre for Mediterranean Studies. He has written extensively on the region.